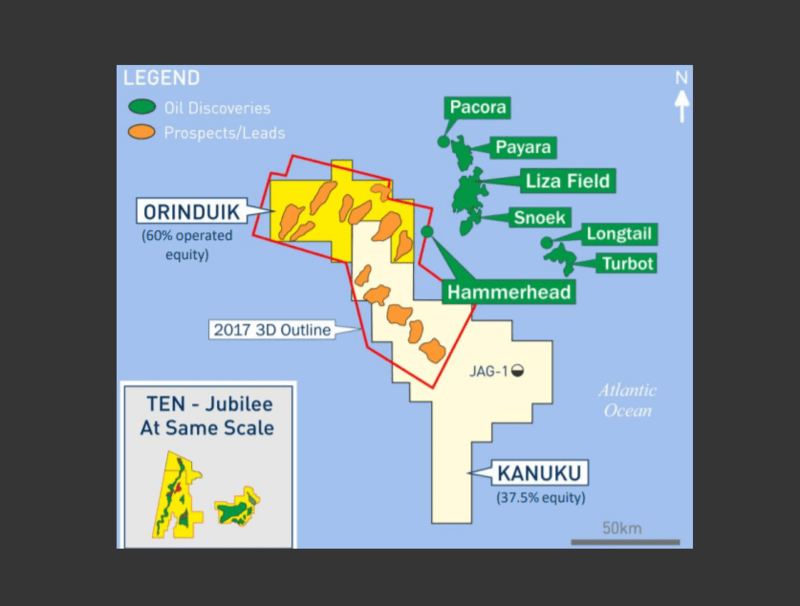 United Kingdom based oil and gas exploration company Tullow is confident that it will strike oil off the Guyana coast where it has a 60% equity in the Orinduik Block and 37.5% equity in the Kanuku Block. Tullow’s Executive Vice President, Ian Cloke, said favourable prospects offshore the small South American country point to a discovery by the company when it undertakes its 2019 drill programme. Cloke’s confidence is buoyed by a record 10 discoveries made by US oil major ExxonMobil in the adjacent 6.6 million acres Stabroek Block. ExxonMobil’s discoveries to date include Liza, Liza Deep, Payara, Snoek, Turbot, Ranger, Pacora, Longtail, Hammerhead and Pluma, amounting to more than 5 billion barrels of recoverable oil. “Put simply it has everything going for it. There is oil here,” Cloke said recently during the company’s 2018 Capital Markets Day, as reported by Hart Energy. “It is highly likely that the Hammerhead discovery announced earlier in the year comes into our block,” he added. 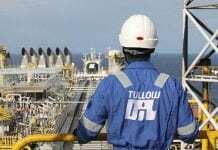 Tullow plans to drill two to three wells offshore Guyana in 2019, putting the area at the top of its list of priorities. 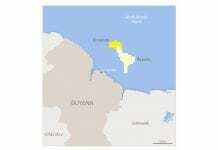 The company has acquired 3-D seismic across the Kanuku and Orinduik blocks, Cloke said, calling the quality excellent. “We can use AVO to derisk the Tertiary and prospectivity at the Cretaceous has been seen from the Liza discoveries,” Cloke said. The Orinduik prospects are in a string of Turbidite channels deposited across a series of terraces, he explained, noting they fill and spill through the Orinduik and Kanuku licenses and out into the Liza licenses. If the company strikes oil, it plans to move from exploration and onto appraisal, development and production to mark first oil within three years, Hart Energy stated. He recalled a few dry wells in the area. Exxon Mobil’s Sorubim and Skipjack failed to encounter commercial quantities of hydrocarbons. “When you look at the potential here, this could be a possible game changer for Tullow,” Cloke said.